Unraveling the Mystery of Autism and Pervasive Development Disorder is an essential guide for parents with autistic children who hope to better understand and intervene with the disorder. When their nineteen-month-old son, Miles, was diagnosed with autism, Karyn Seroussi, a writer, and her husband, a scientist, fought back with the only weapons at their disposal: love and research. Consulting medical papers, surfing the Web, and networking with other parents, they traced the onset of their child's problems to an immune system breakdown that coincided with his vaccinations. As a result, his digestive system was unable to break down certain proteins, which in turn led to abnormal brain development. So Karyn and her husband got to work -- Karyn implementing their program at home while her husband tested his theories at the scientific lab where he worked. 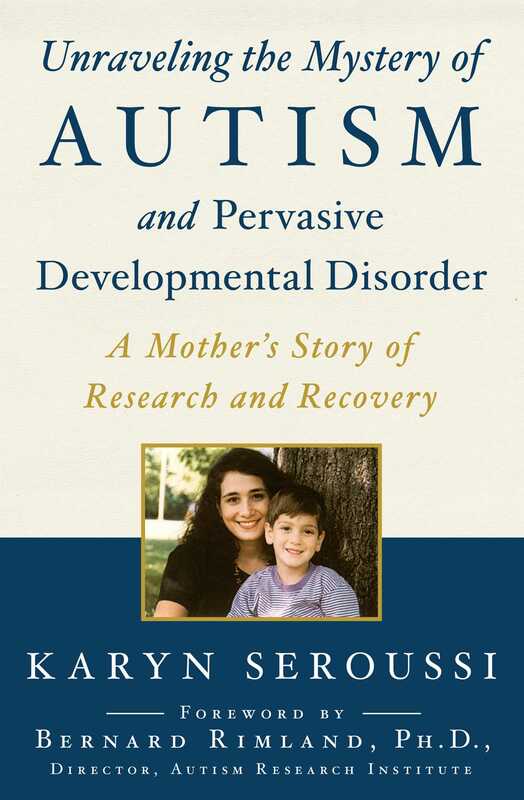 Unraveling the Mystery of Autism and Pervasive Developmental Disorder is an inspiring and suspenseful chronicle of how one couple empowered themselves to challenge the medical establishment that promised no hope -- and found a cure for their child. Here are the explanations and treatments they so carefully researched and discovered, a wealth of crucial tools and hands-on information that can help other parents reverse the effects of autism and PDD, including step-by-step instructions for the removal of dairy and gluten from the diet, special recipes, and an explanation of the roles of the key players in autism research.